We love waking up and cooking up brunch while half awake.. it's become our routine now. We tried something different this morning. An inspiration from Gordon Ramsey's cooking show we have been obsessing over lately. 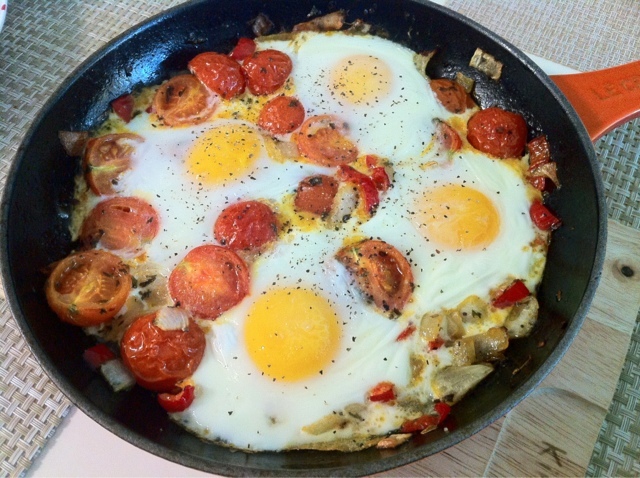 It's sauteed onion/peppers/cherry tomatoes and thrown in the oven until the eggs cook.